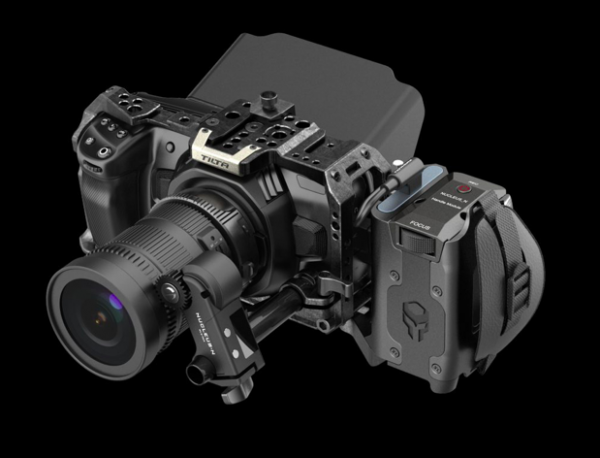 Tilta has given us a sneak peek at their upcoming camera cage solution for the Blackmagic Design Pocket Cinema Camera 4K at Interbee 2018 in Japan. 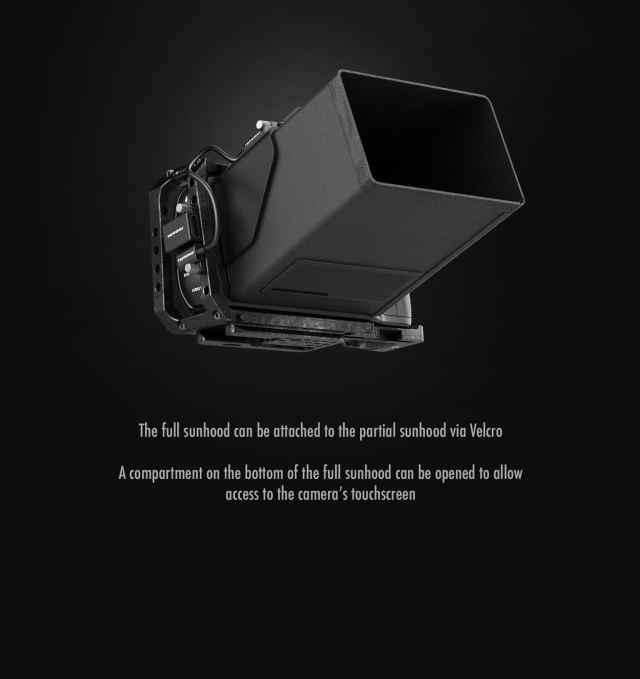 The cage is made from Aluminium Alloy 6061, and has been designed to be ergonomically form fitting to the camera. The big highlight with the Tilta system is the vast amount of modularity and fexability it offers. You can customize it to whatever needs you may require. Such as mounting the Samsung T5 SSD drive for external USB recording to adding a number of powering options to power the camera and accessories, such as the Nucleus-N. There will be differnt side handles available as well, which look to be quite useful when paired together with the upcoming Nucleus-N motor. Unfortunately Tilta didn’t have any of the side handles that we could see at the show. Tilta has three side handle options. The MHC-1, MHC-2 & MHC-3. 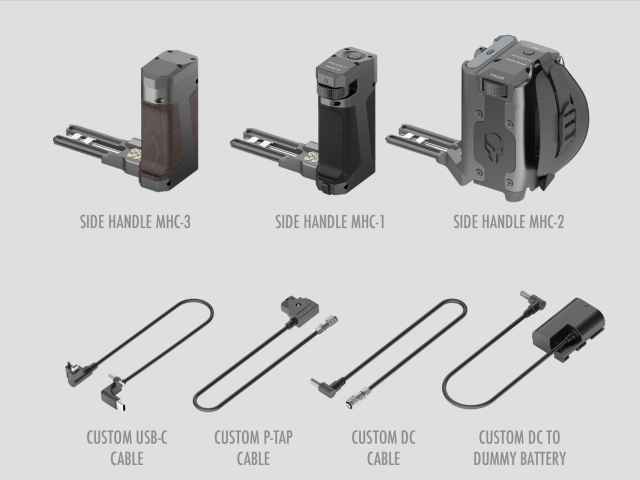 The MHC-3 is a basic handle with no electronics. The MHC-1 houses an LP-E6 battery and features a finger wheel for controlling a motor like the Nucleus-N. 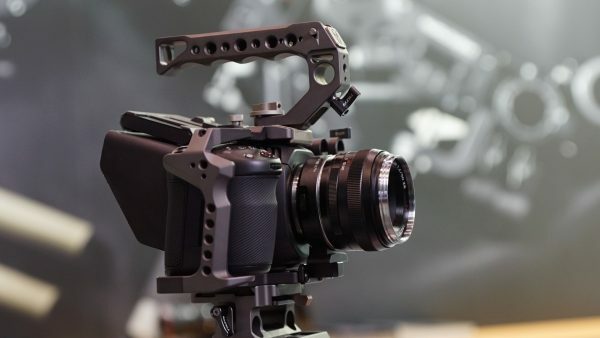 The MHC-2 side handle adopts the larger Sony NP-F style battery, has a finger focus wheel and also adds a mounting slot for the Samsung T5 SSD. 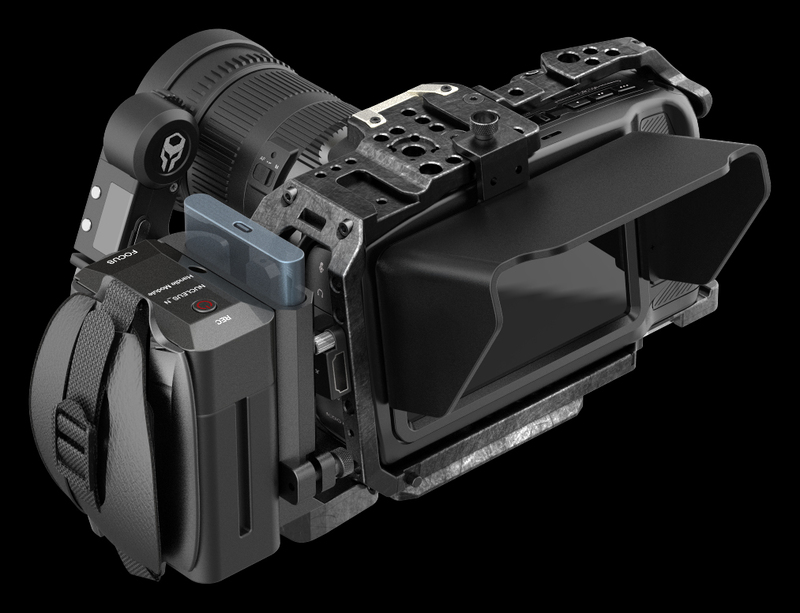 The MHC-2 has an additional output port to power the camera and additional accessories. 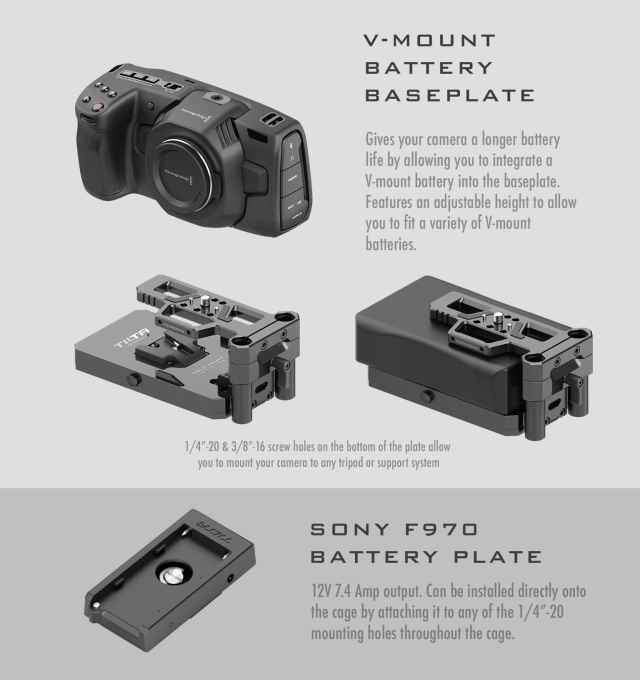 Tilta also has two battery baseplate options, for a Sony F970 battery or a V-mount battery. 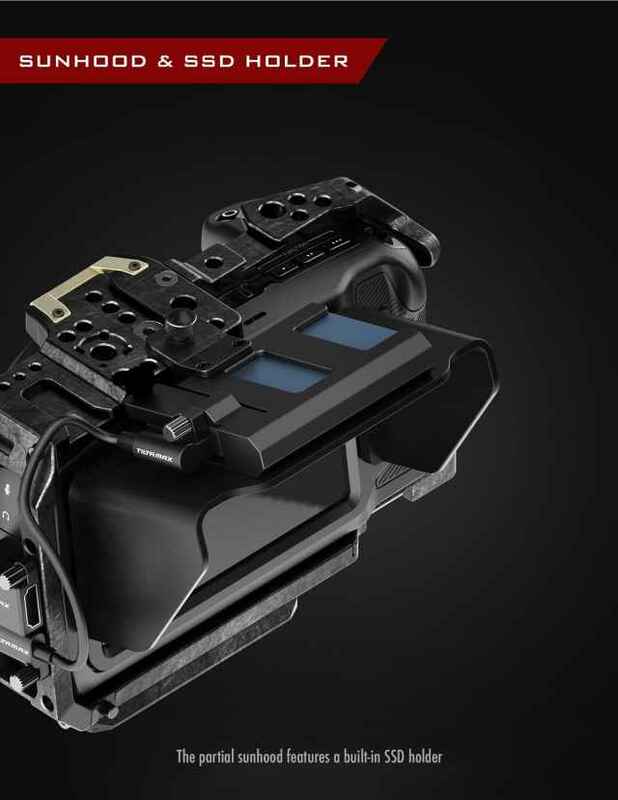 The baseplates are designed to be mounted underneath the camera and provide extra long battery life while also powering other accessories. 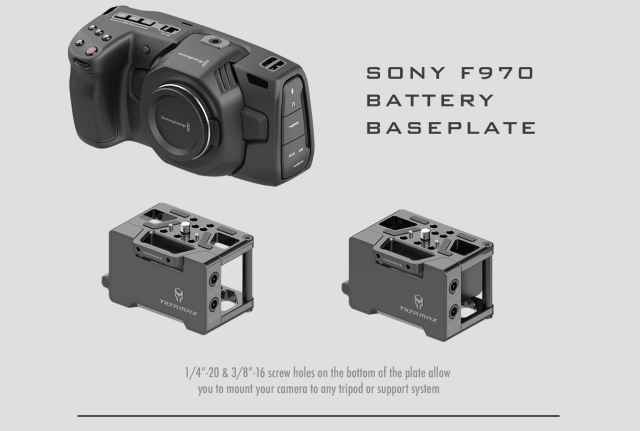 As a lightweight option, they also have a Sony NP-F battery plate which attaches via a single 1/4″ thread and has a DC output port for powering the camera. 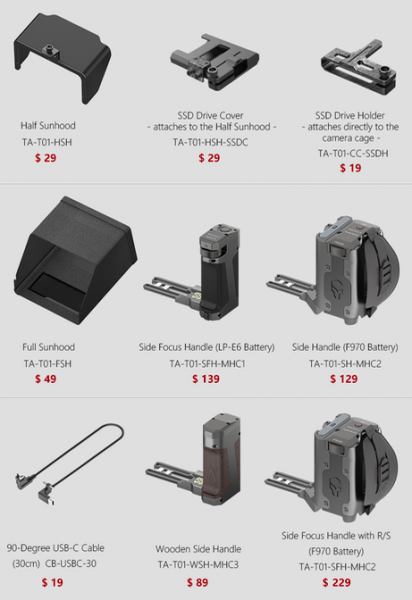 If you are shooting outdoors, in bright conditions, you can add the Tilta Sunhood which also features a removable SSD holder. An extension is available for complete block out. In a nice touch, there is an access window so you can still use the touchscreen. There will be two sunhoods available. 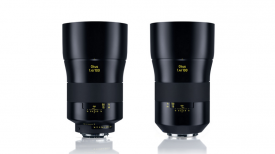 One is a lightweight solution and the other one will be a more professional solution according to Tilta. 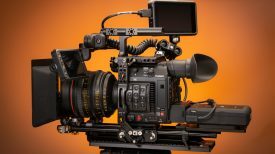 Tilta has also come up with their own USB-C cable thst can be connected and then screwed in to both the Samsung SSD drive as well as the BMPCC 4K body. 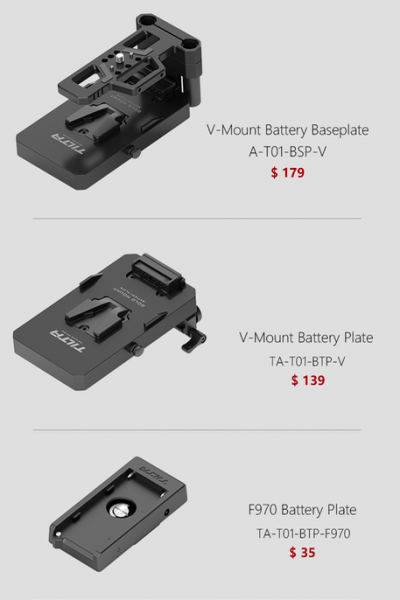 Tilta has also made locking solutions for other inputs such as the HDMI port. With a starting price of only USD $69 for the half cage and $99 for the full cage, the system is quite affordable. Add the top handle and you’re still at $178 USD. Pre-orders will open soon and some of the componenets will be available in the first few weeks of December. 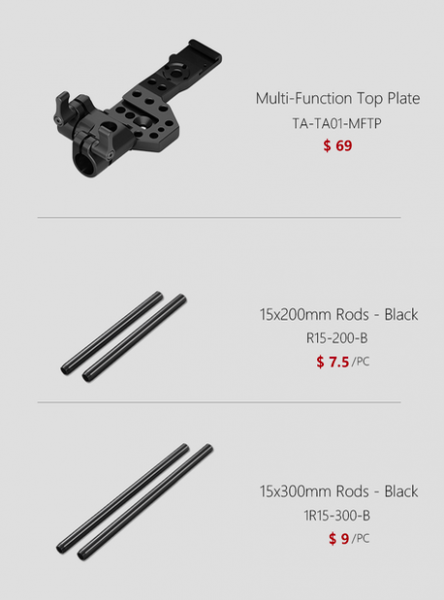 Below you can see the prices for all the available parts that are available. 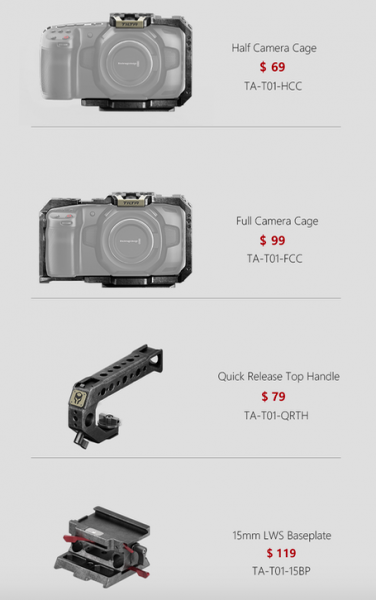 To see how it compares on price, here are a few other cage systems for the BMPCC 4K. 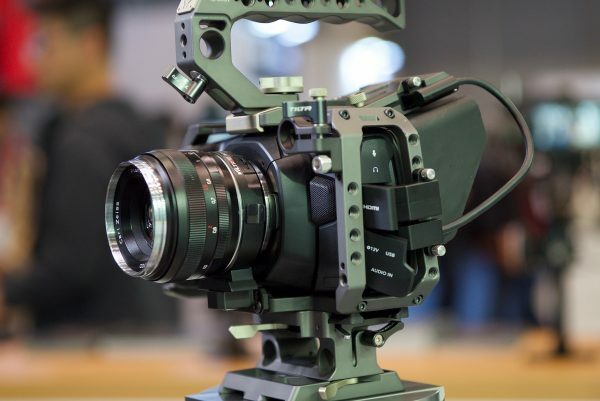 The Tilta BMPCC 4K cage will be available in two finishes. One will be matte black and another will be the Tactile color that can be seen above. 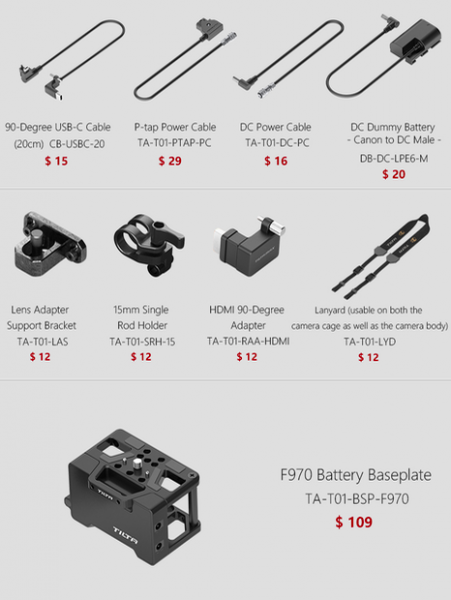 While the price for the Tilta cage looks quite low comparatively, pricing for the additional accessories and modules are yet to be released so you could end up spending more than some of the other options. 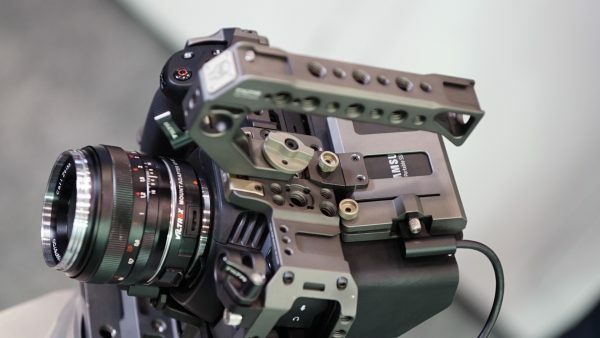 The Tilta cage and accessories were well made and very well thought out. I like how everything is modular and you can just buy the individual pieces that you need without having to buy everything. 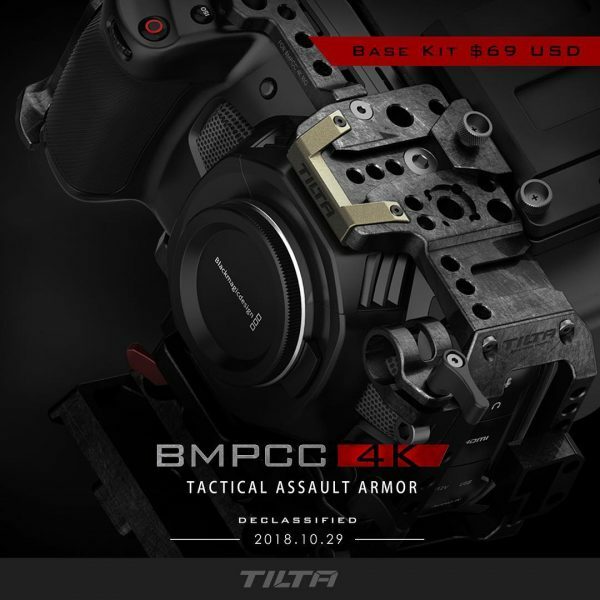 Have you received your BMPCC 4K? 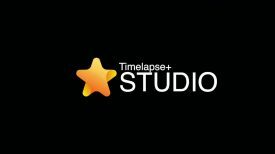 are you using it without a cage or will you be kitting it for production use?